In less than five years, India will be the most populous nation in the world; in addition, while many Asian countries are aging, India is projected to be the youngest country in the world by 2020. There is concern that the Indian economy is not creating enough “good jobs” to satisfy the appetites of its aspiring youth. The largest part of the labor force in India is informal, young, and underemployed, with low wages and unmet aspirations. Many institutions in the country are already thinking about how to address the current challenges and disruptions in the labor market, namely informality, automation, globalization, and the youth bulge. In India, tackling informality and youth unemployment are likely the most essential elements to address if continued economic growth, improvements in living conditions, and social cohesion are to be upheld. Afghan government negotiators have arrived in the United Arab Emirates (U.A.E.) to join U.S.-brokered talks with the Taliban, as efforts intensify to negotiate an end to Afghanistan's 17-year war. The three-day talks that started on December 17 are seen as an important step to launch formal peace negotiations with the militant group. Saudi Arabia, Pakistan, and the U.A.E. -- countries that have significant influence over the Taliban -- are also participating in the talks. It was not clear what has been discussed, although previous talks have focused on proposals for a cease-fire in Afghanistan and the future withdrawal of foreign forces. The militants have previously asked for the release of Taliban prisoners and a timetable for the withdrawal of foreign troops. Soldiers at Camp Dahlke West in Afghanistan lift weights Dec. 16, 2018 in a gym on base. The once sparse base had no gym as of April last year, and soldiers resorted to building gym equipment out of spare lumber. The new gym is part of a rapid expansion of the base to host the 1st Security Force Assistance Brigade in 2018 and the 2nd SFAB in 2019. CAMP DAHLKE WEST, Afghanistan — At the entrance of the base cafeteria here is a sign stating a simple rule: if you want to eat, you’ll have to fill two sandbags. Expansion at Camp Dahlke West, 60 miles south of Kabul, has been so fast that everyone on base has had to pitch in to keep up and keep fed. The buildup is a visible result of the Trump administration’s strategy in Afghanistan, which called for a modest surge of troops into the country four years after the military spent billions closing bases there. As sanction threats loom over its export plans, Russia is casting itself as a leading defender of China’s energy security. At a bilateral energy meeting in Beijing last month, Igor Sechin, the head of Russia’s state-owned Rosneft oil giant, said his company expects to supply China with over 50 million metric tons (366.5 million barrels) of crude oil in 2018, up from nearly 40 million tons last year. Rosneft “has a ‘leading role’ to play in ensuring China’s energy security,” said Sechin, a former deputy prime minister and close confidant of President Vladimir Putin, according to the Gazeta.ru website. In his remarks at the first Russian-Chinese Energy Business Forum, Sechin suggested that U.S. trade frictions with China are pushing Moscow and Beijing closer together to pursue mutual benefits, particularly with petroleum exports from East Siberia and the Russian Far East. BEIRUT — The use of armed drones in the Middle East, driven largely by sales from China, has grown significantly in the past few years with an increasing number of countries and other parties using them in regional conflicts to lethal effects, a new report said Monday. 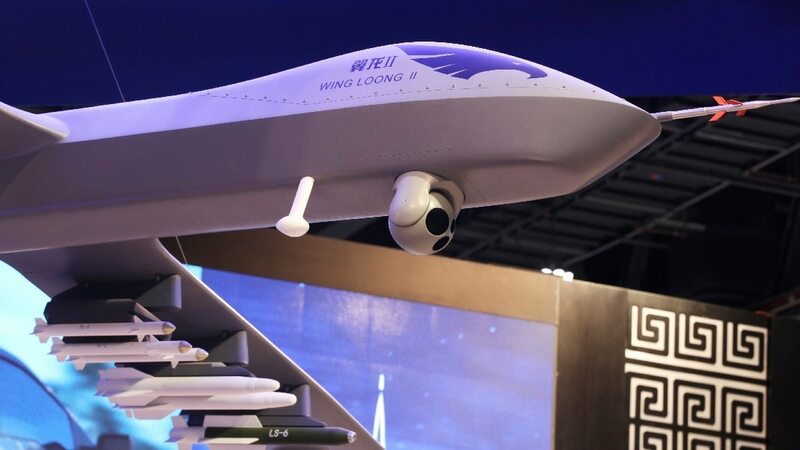 China has won sales in the Middle East and elsewhere by offering UAVs at lower prices and without the political conditions attached by the United States. In early October 2018, U.S. Vice President Mike Pence delivered a searing speech at a Washington think tank, enumerating a long list of reproaches against China. From territorial disputes in the South China Sea to alleged Chinese meddling in U.S. elections, Pence accused Beijing of breaking international norms and acting against American interests. The tone was unusually blunt—blunt enough for some to interpret it as a harbinger of a new Cold Warbetween China and the United States. Such historical analogies are as popular as they are misleading, but the comparison contains a kernel of truth: the post–Cold War interregnum of U.S. hegemony is over, and bipolarity is set to return, with China playing the role of the junior superpower. The transition will be a tumultuous, perhaps even violent, affair, as China’s rise sets the country on a collision course with the United States over a number of clashing interests. But as Washington slowly retreats from some of its diplomatic and military engagements abroad, Beijing has no clear plan for filling this leadership vacuum and shaping new international norms from the ground up. HONG KONG -- Chinese President Xi Jinping pledged to continue the economic reforms started by former leader Deng Xiaoping four decades ago, but will not seek counsel from "arrogant teachers," the country's leader said Tuesday in a speech marking the 40th anniversary of Deng's program of "reform and opening up." The anniversary comes as the country wrestles with a slowing economy and the effects of the trade war with the U.S. No fresh policy initiatives were announced during Xi's speech regarding the trade spat. Instead, Xi reiterated the importance of strengthening the leadership of the Communist Party in pushing market liberalization forward. The geographic distance that helps protect the United States will impinge upon its ability to project force across the Eurasian landmass unless it can improve its logistical supply chain. The emergence of new technologies, a weakening merchant marine fleet and many diplomatic issues such as national borders will all hinder Washington's ability to deploy in Eurasia. Aware of the challenges, the United States will continue its efforts to solve these problems through the establishment of new NATO commands, the purchase of new vessels and the harnessing of new AI technology. Whether it's the development of new weaponry, the competition to sway middle powers, the collapse of arms control treaties or more, a number of issues have come to dominate the headlines in regard to the nascent great power competition among the United States, Russia and China. But there's another critical topic that has attracted far less attention but is of great concern for Washington: logistics. As it faces the prospect of conflict with Russia or China in Eurasia, the United States has no choice but to get its organizational house in order if it is to wage an effective battle. After a three-year hiatus, the cyber-enabled theft of intellectual property by Chinese hackers is once again a point of contention in the U.S.-China relationship. 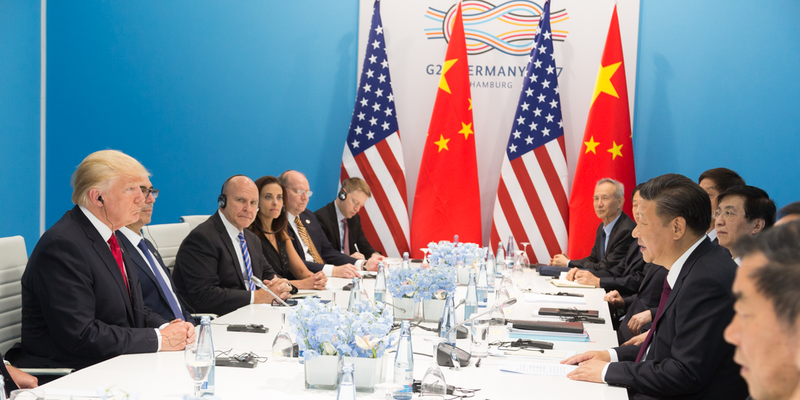 Cybersecurity firms have reported new attacks on U.S. companies, and Donald J. Trump administration officials have claimed that China is ignoring a 2015 agreement in which both countries pledged not to conduct hacking to benefit commercial entities. Over the weekend tensions were high in the West Bank, and there were expectations that clashes would take place between Israeli security forces and Palestinian demonstrators. Most of the fears proved unfounded, as demonstrations were dispersed or confined to Palestinian areas where PA security forces fought with local protesters. The reason some of the demonstrations ended with a minimum of violence is due to decades of experience that Israel has gained in managing the conflict. At the demonstration next to the northern entrance to Ramallah, all of the components of what could be a violence clash with the IDF were present. Demonstrators hurled stones and set fires, and the IDF and Border Police sought to disperse them. Watching from a hill overlooking the clashes provided a perspective on how Israel turns these clashes into an event where injuries are minimized and they do not spiral out of control. Trump Administration Can Congress Stop the Forever War? When the 116th Congress—including a Democrat-controlled House of Representatives—is sworn into office in a few weeks, there will be no shortage of pressing issues demanding the attention of legislators. These include perhaps the most solemn question facing any government: when and how to deploy the awesome power of the United States armed forces. Few matters are as complex or as consequential. And Congress should not be shy. The Constitution grants competing powers in the realm of foreign affairs to Congress and the president, with the expectation—even the demand—of aggressive oversight. Having served at both ends of Pennsylvania Avenue, I understand that many in the White House will see this congressional role as a nuisance. But they would be well advised to welcome it, because a full partnership with Congress on national security matters will improve both the policies and their execution, while also beginning to restore the American people’s trust in Washington. In what by historical standards constitutes an instant, the future of democracy, prosperity, and peace in Europe has become uncertain. And with the US under President Donald Trump treating its allies like enemies, the continent must confront the growing threats it faces largely on its own. NEW YORK – It was not all that long ago – just a few years, as hard as that it is to believe – that Europe appeared to be the part of the world most closely resembling the end-of-history idyll depicted by Francis Fukuyama at the end of the Cold War. Democracy, prosperity, and peace all seemed firmly entrenched. In the wake of the 2016 election, Instagram — known as the home of preening influencers, artfully arranged grain bowls and Icelandic vacation photos — somehow escaped much of the scrutiny of other social networks. But two new reports suggest that may have been a mistake. The reports, conducted by independent groups and released by the Senate Intelligence Committee on Monday, concluded that Instagram — which is owned by Facebook — became a favored tool of Russian internet trolls after the 2016 election. According to the reports, which were based on a trove of data provided by social media companies, Russia’s Internet Research Agency operated a vast network of accounts on Instagram that sought to infiltrate American identity groups, harden ideological divides and sow distrust in the American political system. 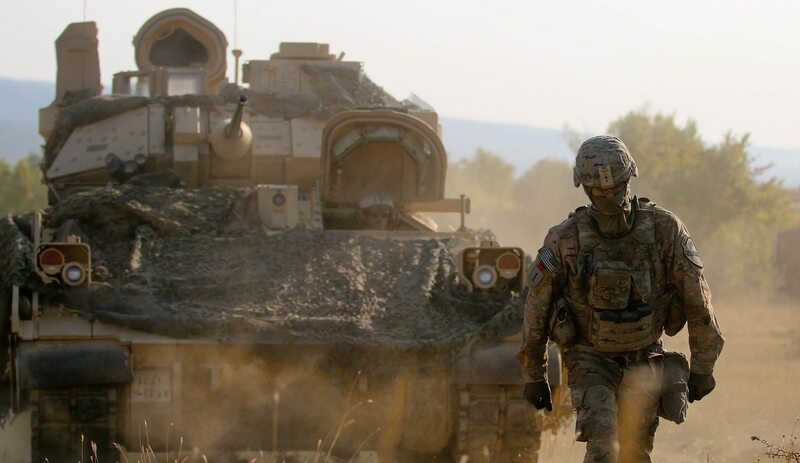 Russia is positioned to quickly defeat forward-deployed U.S. and NATO forces and grab land before reinforcements could arrive, according to a new paper from the Atlantic Council, an international affairs think tank. Besides getting Mexico to pay for the wall, which continues to elude him, there were two things that U.S. President Donald Trump seemed to want most out of the renegotiation of the North American Free Trade Agreement. One was increased accessto the Canadian market for American dairy farmers, and the other was an incentive to increase car production in the United States. He won on those things, though the latter could well turn out to be a pyrrhic victory. But he is undercutting any credit he might get for those victories with his fondness for tariffs. Indeed, if looking tough for his political base continues to eclipse all else, the president could lose the chance to replace the NAFTA he hates with the one he says he loves, at least for now. Will the Poland Climate Talks Lead to Action — or More Talk? Meanwhile, the Trump administration continues to refuse to abide by the 2015 U.N. Paris Agreement, which aims to cap the rise in global temperatures to 2 degrees Celsius above pre-industrial levels. Another concern stems from a follow-up U.N. report in October that warned that the goal should be 1.5 degrees Celsius and it should be achieved in the next 12 years, or before 2030. The U.S., Russia, Saudi Arabia and Kuwait merely “noted” the report; they resisted pressure on them to “welcome” it. Analysts at the National Geospatial-Intelligence Agency may spend as much as half their time poring over satellite imagery of activities they're already familiar with, taking place in locations where everybody is already looking. Their time could be better spent doing other things, said Susan Kalweit, director of analysis at NGA. As NATO’s relations with Russia seem to be hitting a post-Cold War low, numerous experts argue that the West is already in a state of conflict with Moscow in three domains: intelligence, information warfare and cyber. In particular, Russia’s increasingly hostile actions in the cyber domain have lent new urgency to the debate over cybersecurity in the West, including within NATO. 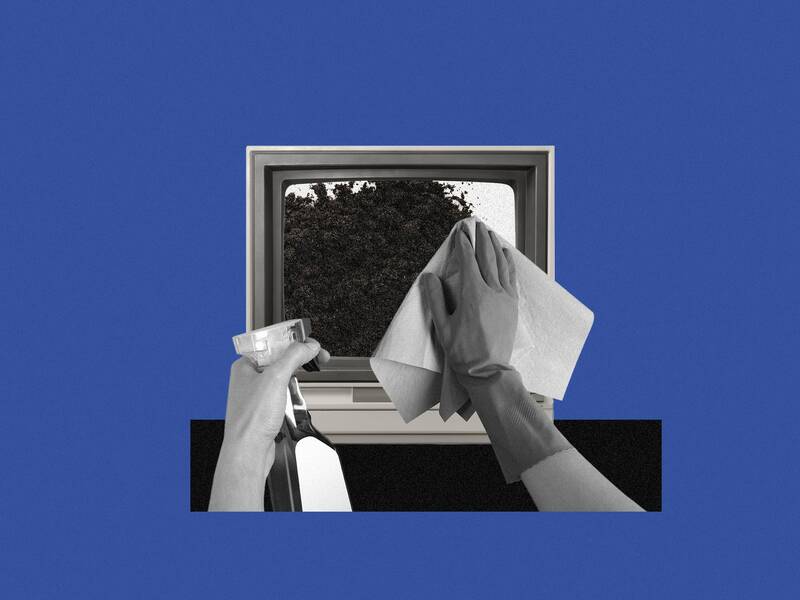 The recent Russian plot to hack the Organization for the Prohibition of Chemical Weapons, discovered and thwarted by the Netherlands, is yet more proof that complacency over Russian cyber operations will prove costly. Russia has decided to adopt a more belligerent, gloves-off approach. Under the current circumstances, NATO must speed up its cyber adaptation process to confront the resurgence of an old foe. SAN FRANCISCO — When lawmakers asked YouTube, a unit of Google, to provide information about Russian manipulation efforts, it did not disclose how many people watched the videos on its site that were created by Russian trolls. Facebook did not release the comments that its users made when they viewed Russian-generated content. And Twitter gave only scattered details about the Russian-controlled accounts that spread propaganda there. The tech companies’ foot-dragging was described in a pair of reports that the Senate Intelligence Committee published on Monday, in what were the most detailed accounts to date about how Russian agents have wielded social media against Americans in recent years. IN THE EARLY hours of Aug. 25, 2017, a ragged insurgent group from Myanmar’s Rohingya Muslim minority attacked military outposts in the country’s northwest, killing 12 people. Security forces quickly retaliated with a campaign of village burning and mass killings that lasted weeks. As Rohingya died by the thousands, Myanmar’s military leaders took to Facebook. A post from the commander-in-chief pledged to solve “the Bengali problem,” using a pejorative for Rohingya in Myanmar. Another general wrote to praise the “brilliant effort to restore regional peace,” observing that “race cannot be swallowed by the ground but only by another race.” A UN fact-finding report on the violence later cited the commander-in-chief’s post as suggestive of genocide, and noted the history of Facebook posts whipping up hate against Rohingya in Myanmar. The mission’s chair told journalists that the site had played a “determining role” in the crisis. In response to sanctions and other measures taken by the United States, Iran will look to retaliate in cyberspace. Iran's strategy on the use of physical force provides a gauge of how it will employ cyberattacks. Iran will pursue asymmetrical operations instead of a full-on cyberwar, using proxies and sending subtle messages about U.S. vulnerabilities. As discord between the United States and Iran continue to rise in 2019, Tehran will reach deeper into its bag of deadly tricks to counter pressure from Washington. 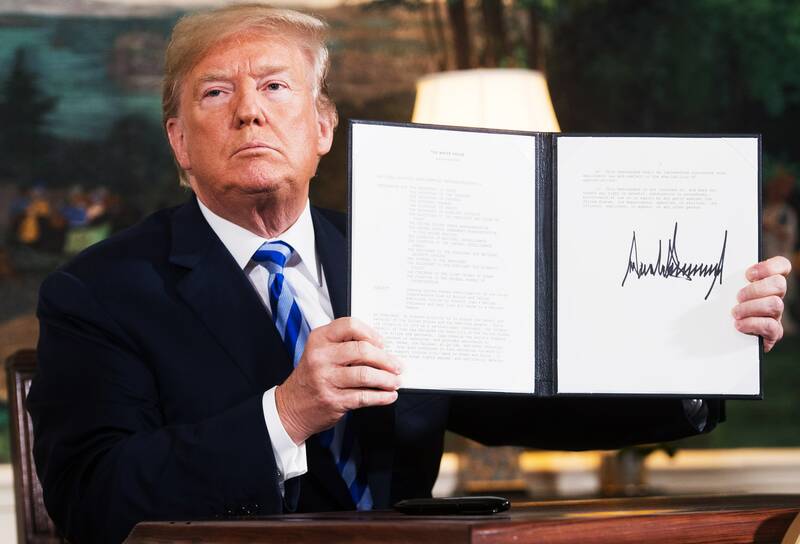 While the huge imbalance of power will restrain Iran from engaging in direct military conflict with the United States and its allies, it will retaliate with its asymmetrical arsenal. These weapons include cyberattacks, terrorism and support for its regional militant allies, and they pose a threat to companies and organizations in the Middle East and beyond. But what is most notable is how Iran's strategy for handling conflict in cyberspace mirrors its game plan for physical clashes. 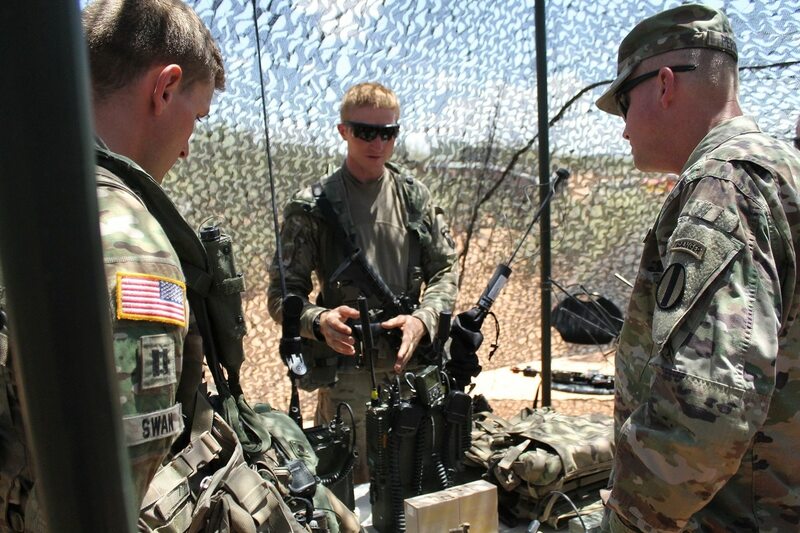 The Army is testing a new equipment design that increases the number of small network nodes to a unit, allowing for a reduced expeditionary signal battalion without decreasing capability. The new Expeditionary Signal Battalion-Enhanced (ESB-E) pilot unit — the 50th ESB, 35th Theater Tactical Signal Brigade — used its agile networking suite for the first time during a training mission at Fort Bragg, North Carolina, in December, according to an Army release. Not unlike the efforts underway to modernize its tactical network, the service is leveraging rapid prototyping, experimentation and development operations to inform future needs. The pilot is aimed at providing scalable units to ensure uninterrupted mission command and faster movement. The ESBs provide tactical network communications support to other units. The Pentagon has received more power to conduct cyber operations in the past 18 months. But for the top Army commander in the Middle East and Central Asia, the new authority is not enough. 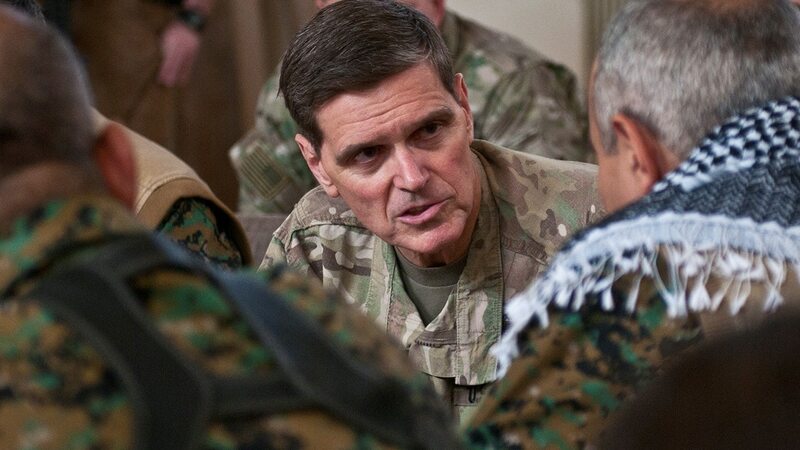 The head of U.S. Central Command, Gen. Joseph Votel, wrote in a Dec. 18 paper that the Pentagon must “normalize” electronic warfare and cyberattacks and incorporate them into daily operations. Tom note: Here is the third entry in our 10 Long March posts for 2018, the 8th most-read item of the year, which originally ran on September 26, 2018. These posts are selected based on what’s called ‘total engaged minutes’ (the total number of time spent reading and commenting on an article) rather than page views, which the T&P editors see as a better reflection of Long March reader interest and community. Thanks to all of you for reading, and for commenting–which is an important part of this column. That’s tough talk from a corporal, on the damn record. And a tip of the Long March cap to Proceedings for running it.